Welcome home to 1836 Sunset Ave in Akron Ohio. 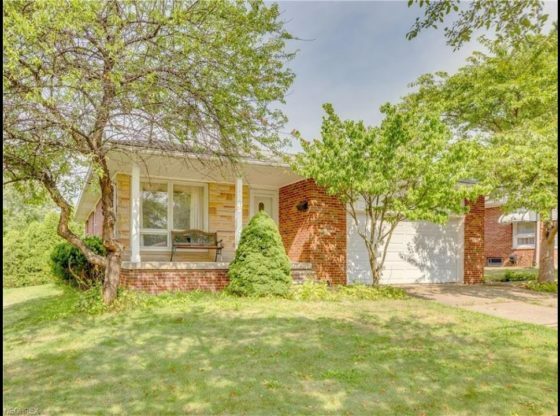 This brick ranch style home in Firestone Park features a 1 car attached garage, 3 bedrooms, 2 full baths. The basement features a rec/family room for added entertainment space. There is also another funished room in the basement perfect for a home office. There is a sun room that can be accessed from the attached garage. The sun room offers great indoor/outdoor space for a family BBQ! This home is conveniently located to shopping, RT 8, RT 77 and dining. Call today for a private showing. For more information about this property, please contact Kimberly Latona at 3309582355 or [email protected] You can also text 5184558 to 67299.
finished basement with partial bar | View 32 photos of this 4 bed, 2+ bath, 3,399 Sq. Ft. single family home at 1513 Thornapple Ave, Akron, OH 44301 on sale now for $103,400.